One of the most invaluable features of automation is the reporting offered by each solution. Like lead scoring, reporting is just one of those features that if a solution lacks it, it’s probably not worth your time or money. Reporting and analytics provide your organization with valuable intelligence regarding the effects of your marketing efforts. We’ve covered in-solution reporting in the past, with some best practices and the like, but for those looking to cut right to brass tax, we’ve compiled a list of some of the best solutions with regard to the analytics capabilities. Autopilot may have a much higher focus on integration than other vendors, but the intrepid marketer shouldn’t be sleeping on their reporting capabilities. The software provides all the analytics you could ask for in a simple, easy-to-read dashboard within the solution. It has insights on message and channel performance sortable by any timeframe you so desire. It’s also mobile friendly, meaning you can access your data on-the-go. While not exactly reporting in the traditional sense, IBM’s Watson offers insights in a unique manner. Watson’s main insights are simply solution-generated suggestions created by the eponymous AI. It uses key predictors to prioritize audiences. Watson then segments based on customer data from multiple sources while connecting with campaign execution in real-time. This is entirely customizable, as the AI changes its priorities based on user preference. Users can track campaign performance based on channel. The ROI report connects marketing and sales data to credit leads to specific marketing efforts. Lifecycle reporting provides insights into the health of a sales funnel. This helps identify where opportunities are getting stuck and users can course-correct accordingly. Vbout’s analytics are pretty par for the course in terms of what’s offered in the space. Marketers can track key performance indicators in areas like social media, clicks, email marketing stats, and more. Automated reports collect the data you want and can be sent daily, weekly, or monthly. The reporting on its own isn’t anything too stand out, but what’s offered gels really well with their automation capabilities and ultimately makes it a worthwhile pick. Like Watson’s insights, ClickDimensiosn offers some of the more unique data in the automation analytics game. A web tracking feature provides web activity from anonymous and identified site visitors. These insights are useful in discovering customer interest based on pages they view. It also displays real-time and long-term site traffic analytics. These up-to-the-minute updates are perfect for teams that need to make snap decisions about their marketing efforts. If you want lead data through activity tracking, ActiveCampaign is your vendor. Users can add a minimal amount of code to their websites to start tracking site traffic. This feature goes beyond website interactions by using event logging. It allows you to log actions, changes, and more. The collected data can then be used to create targeted and effective campaign automation. If you’re interested in automation analytics and want to know how to best utilize the data once you have it, click here for our guide on how to interpret the reports from your solution. 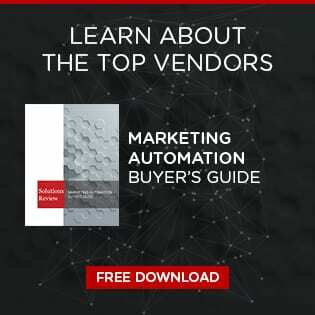 Previous Previous post: Should You Be Hiring Marketing Automation Experts?